Position rack in lower third of oven and preheat to 400F.Butter 6-cup (1 1/2-quart) soufflé dish. Add Parmesan cheese and tilt dish, coating bottom and sides. Warm milk in heavy small saucepan over medium-low heat until steaming. Place dish in oven and immediately reduce oven temperature to 375F. Bake until soufflé is puffed and golden brown on top and center moves only slightly when dish is shaken gently, about 25 minutes (do not open oven door during first 20 minutes). Serve immediately. 3. Heat a large saute pan with the butter and onion until softened. Add the garlic over medium-low heat. When garlic becomes fragrant, add parsley, salt and spaghetti squash strands. The spaghetti squash should have a slight crunch (i.e. not mushy) – but if you like it softer, cover the pan and cook 2 more minutes. Heat butter in a skillet; add garlic and rice and cook until both are golden brown. Add 1 cup of broth and the salt and pepper. Bring to a boil and pour into a covered casserole; bake for 25 minutes. Stir in remaining 1 1/2 cups broth; cook for another 45 minutes. This can be doubled without increasing the cooking time. You can use PC Organics Baby Spinach instead of the field greens, if you prefer. Place field greens in large bowl; set aside. Pat shrimp dry on paper towels; set aside. 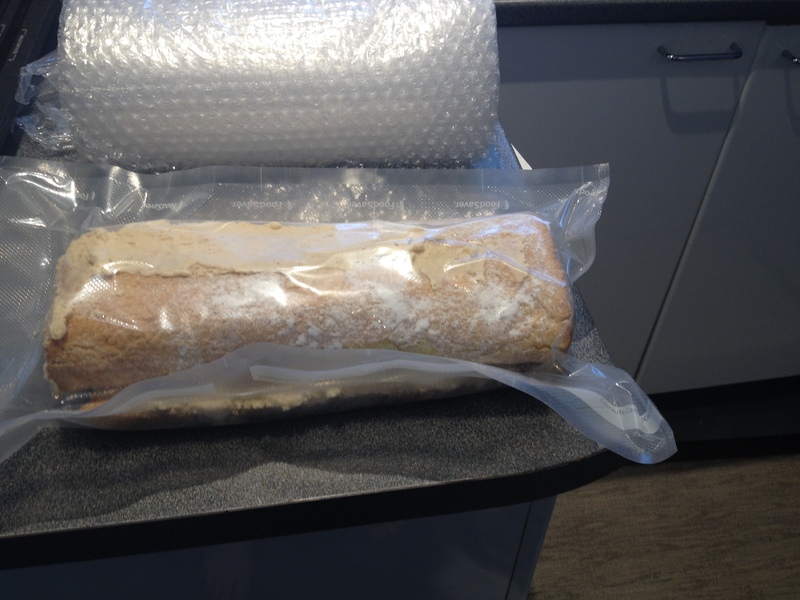 Inresealable plastic bag, shake together flour and grinder; set aside. In large frying pan set over medium heat, cook bacon pieces until golden but still pliable,turning occasionally, about 10 minutes. Using slotted spoon, transfer bacon to papertowel-lined plate. Pour off bacon fat and discard. Add 2 tbsp (25 mL) of the olive oil tofrying pan and return to medium heat. Add shrimp to plastic bag; shake to coat with flourmixture. Shake excess flour mixture from shrimp and add shrimp to frying pan. Cook, turningonce or twice, until shrimp are cooked through and slightly crispy, about 5 minutes. Meanwhile,add bacon and croutons to field greens; toss to combine then divide among six plates. Placecooked shrimp on top of salad, dividing evenly. Bring sugar and 1 cup water to a boil in a saucepan over medium heat, and cook, stirring, until sugar has dissolved. Stir in vanilla extract and add in vanilla bean.Let cool completely. Praline (hazelnut) Paste: Perhaps this is easy to find elsewhere in the world but I could not find in Montreal, so I had to make my own – This can be made ahead of time – It will keep for several months in a tightly-closed container at a moderate temperature. 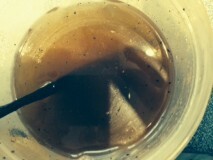 Avoid heat, which will turn the hazelnut oil rancid and make the paste unusable. Preheat your oven to 180c and put your nuts on a tray (You can omit this part if you buy roasted hazelnuts instead of unroasted)Place in hot over for about 5-8 minutes Until the skins start to split. Lift out. Place in a tea towel, Rub your nuts;)The skin will easily rub off . When cool enough you can rub your nuts in your hands! There should be no skin left on them whatsoever..
Line a tray with silicon sheet or oil a tray. Add sugar to a pan. Put on a med-low heat with NO water . It will start to melt and caramelise . It may a little time but be patient. If you find it is getting too dark too quickly, reduce heat. Add your nuts .And coat. Turn out onto tray to cool, don’t put in fridge. When cool smash them up. And blitz in a food processor. Like this until nicely ground. And there you go! Ok so this is hazelnut praline. But……you want to make hazelnut paste, so carry on. Keep blitzing on high until the oil starts coming out off your nuts. Mix in butter: Reduce speed to medium-low; add butter 2 tablespoons at a time, beating to incorporate fully after each addition. Don’t worry if the buttercream appears curdled at this point; it will become perfectly smooth again with continued beating. After all the butter has been incorporated, beat in vanilla. Blend ½ cup buttercream into the praline paste, then add to the remaining buttercream. Whip briefly on med-low speed to combine. Finish: Switch to the paddle attachment. Beat on the lowest speed to reduce air bubbles, 3 to 5 minutes. 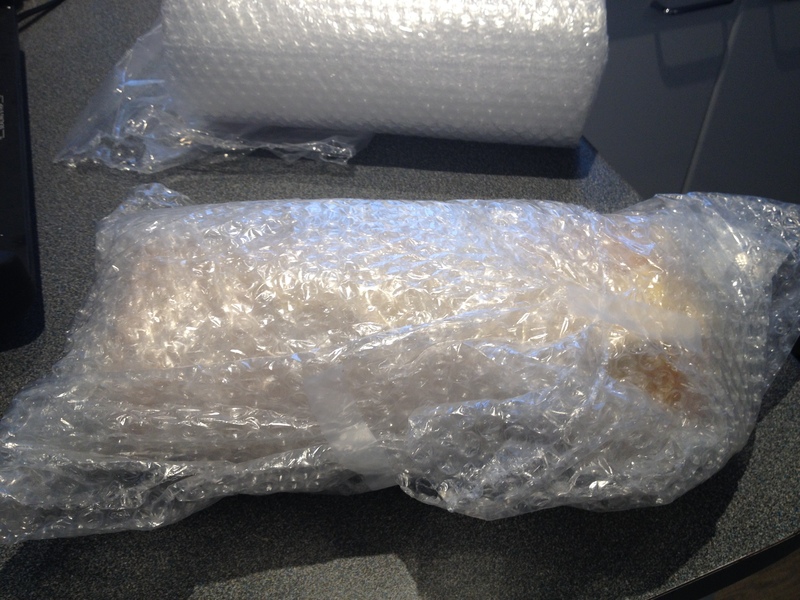 Let stand, covered with plastic wrap, at room temperature. Preheat oven to 350 degrees. Coat a 9-inch square baking pan with cooking spray. Line bottom with parchment cut to fit, and coat parchment with spray. Dust with flour, and tap out excess. 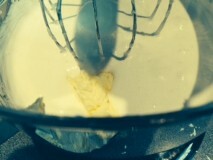 Whisk together eggs and sugar in a large heatproof bowl. Set bowl over a pan of simmering water, and whisk until mixture is warm and sugar has dissolved, about 3 minutes. With a standing mixer fitted with the whisk attachment, beat egg mixture on high speed until pale and very thick, about 12 minutes. Beat in vanilla. Sift flour and salt over mixture in 3 additions, folding gently with a spatula. When almost incorporated, pour melted butter down side of bowl, and gently fold until completely incorporated. Heat oven to 400°. 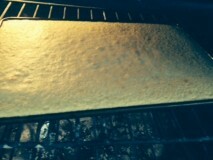 Grease and flour an approximately 13″ x 18″ rimmed baking sheet, lined with parchment paper, and set aside. Spread batter into an even layer on bottom of prepared baking sheet and bake until golden brown on the bottom, about 12 minutes. Place a clean kitchen towel that is larger than the baking sheet on a work surface, and dust it liberally with confectioners’ sugar. Invert cake onto towel; dust with more sugar. Starting with a narrow end of the rectangle, immediately roll cake up into a jelly roll, letting the towel roll inside the cake. Let cool to room temperature. Next step I’ll prepare a couple of of days prior to Xmas . 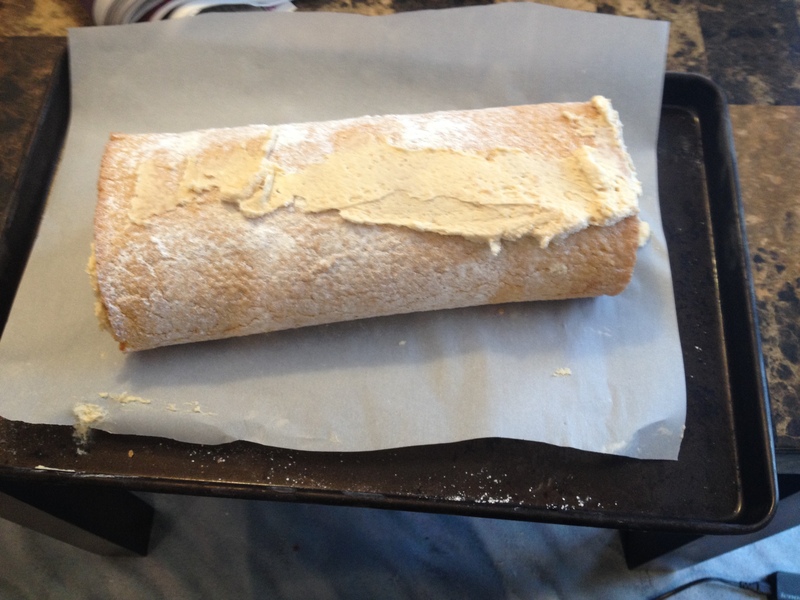 Left to do…Slice off about 3″ of one end of the cake roll at a 30° angle; cut the other end to make it flat. Spread the flat end of the angled slice with a little buttercream and set the slice on top of the cake roll to create a “stump.” More buttercream frosting and use something to make it look like a log….